For Transformers fanatic Darryl Laughy, the December trailer for Transformers: The Last Knightwas a perplexing experience. The first glimpses of the fifth film in the robot franchise started off with a bloody medieval sword thrust into the ground. “And then it was like, ‘What’s with the horses and the knights?’ ” says Laughy, 37, who goes by the moniker Cybertronian Beast as a host for TransMissions, a podcast devoted to Transformers. Still, he’s excited about what’s in store when The Last Knight arrives in theaters Tuesday night. Director Michael Bay’s pyrotechnic-filled Transformers have raked in plenty as Paramount Pictures’ mega-franchise. The battling robot stars (evil Decepticons vs. noble Autobots) who transform into everyday objects (mainly cool cars) have pulled in $1.3 billion ($3.8 billion worldwide) in four previous films spawned by the Hasbro toys and the beloved 1980s animated TV series. 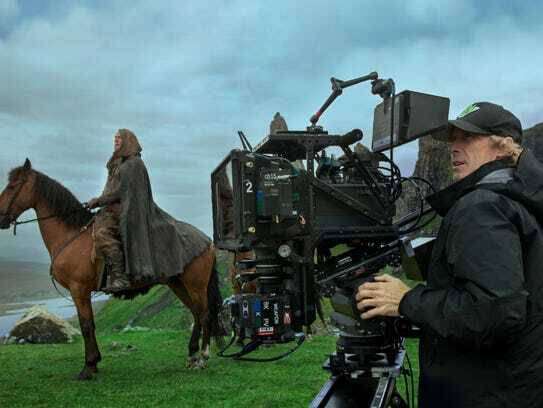 As Bay wraps up his duties on what he vows will be his last movie in the series, The Last Knight is striving to emphasize a strong story to a die-hard fanbase solidified by stunning action, robot battles and special effects. 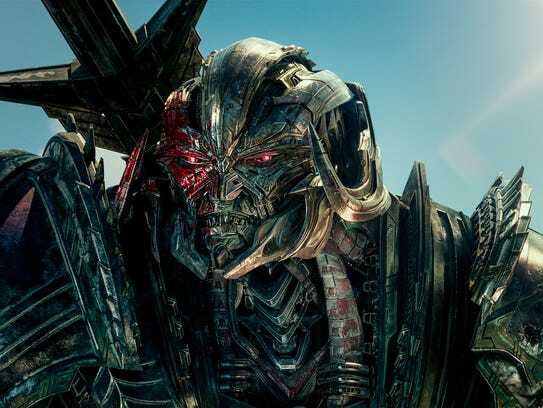 But with often-abysmal reviews from critics, the franchise stalled with 2014’s Age of Extinction, the lowest-grossing Transformers film domestically with $245 million. Filmmakers decided to go beyond the trademark booms. Transformers created a “writers’ room” think tank featuring a dozen scribes headed by producer Akiva Goldsman. Their goal was to flesh out Transformers mythology, creating a story that follows 12 Transformer knights who interact with King Arthur’s 12 Knights of the Round Table. The emphasis is on history and the human story. “The intersection of the two myths empower the humans and makes these characters more important than they’ve ever been before,” says di Bonaventura. That explains the knights and swords in trailers heavily featuring Mark Wahlberg (in his second Transformers appearance), newcomer Isabela Moner as a plucky survivor of Decepticon attacks and Anthony Hopkins as a British lord, the key to unlocking the history. Transformers fans are skeptical that any of that will override Bay’s trademark style. “He has that eye for action and a quick joke, not overarching plot, nuance or anything else you can hang a new mythology on,” says Anthony Karcz, blogger for GeekDad.com. But the writers’ room also provided a “road map” for a widening Transformers film universe, including future installments and a still-untitled spinoff featuring Transformer Bumblebee and Hailee Steinfeld, directed by Travis Knight (Kubo and the Two Strings) and set for 2018. How The Last Night will go down is another mystery. Reviews are embargoed until Tuesday’s U.S. premiere in Chicago, just hours before The Last Knight opens. Regardless of how it’s received, a $90 million five-day opening weekend is projected.